My main research interests are in 19th and 20th century European thought falling within the domain of philosophical anthropology, broadly understood. In recent years, I’ve been working on issues related to education, especially higher education, including themes such as the relationship between linguistic competence and mathematical reasoning, philosophical meditations on the idea of a university, and the cultural conditions of scientific thought. 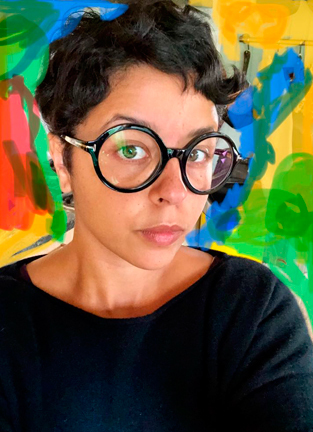 My current focus on vulnerability has to with how the conditions of possibility for thinking, understanding and learning such as real needs, practical utility, custom, and chance, are often misconceived as limitations and barriers, i.e. as obstructions to thinking; I want to show how such conditions are often rather productive of what can count as “knowing” something, proving it, or understanding it. I am working on a range of topics related to the above, including the tension between rural and urban conceptions of what people need to know and be able to do in order to achieve their human potential, and, related to this, the normative discourse involved in the attempt to ameliorate the conditions of those on the “periphery” on the part of the political and economic centers. My most recent publications reflect this focus on the possibilities and limitations of educational institutions and practices for cognitive agency. 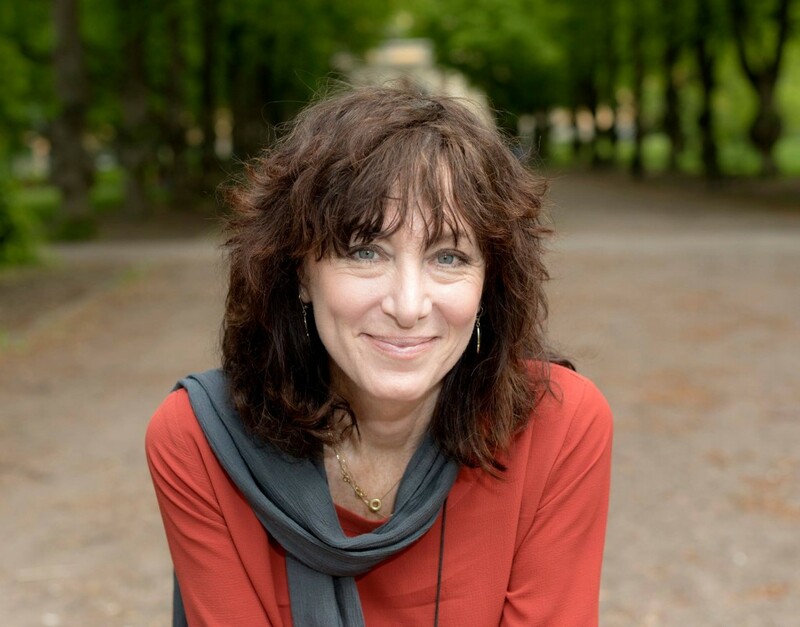 During the academic year 2016-2017, I was invited to lecture on these topics as a keynote speaker at the annual conference of the Swedish Educational Research Association and the international conference “Nordic Fields of Higher Education”, as well as in New Zealand (U Waikato), Belgium (U Leuven), Denmark (U Aarhus) and the US (Columbia U). During the academic year 2017-2018, I plan to stay home in Sweden and complete work on a book-length treatment of these issues. 2017 Coercion by Necessity or Comprehensive Responsibility? Hannah Arendt on Vulnerability, Freedom and Education. In Phenomenology and the Primacy of the Political. Essays in Honor of Jacques Taminiaux. Véronique Fóti & Pavlos Kontos (eds.) 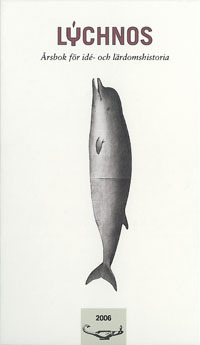 Springer, 155-174. 2017 “Language and Mathematical Formation”. In A Companion to Wittgenstein on Education: Pedagogical Investigations Michael A. Peters & Jeff Stickney (eds), Springer, 503-516. The list below is only a representative selection. For more information, see the attached CV. 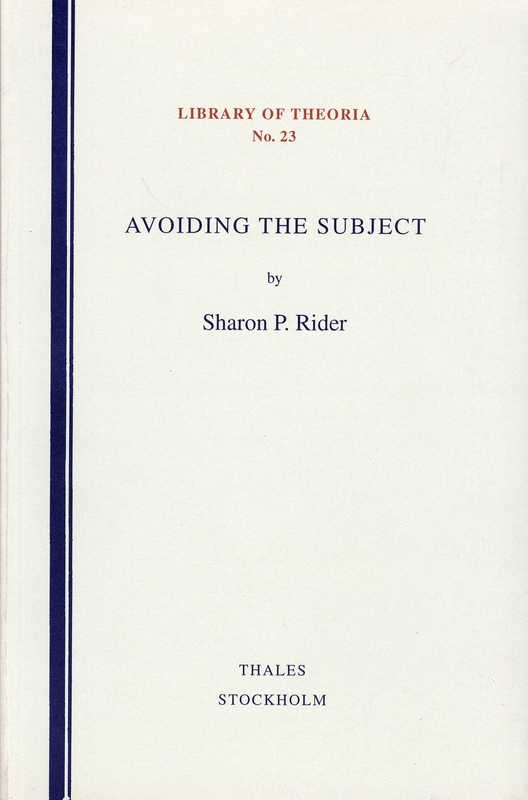 1998 Avoiding the Subject: A Critical Inquiry into Contemporary Theories of Subjectivity. Stockholm: Library of Theoria. 2018 Post-Truth, Fake News: Viral Modernity & Higher Education, eds. 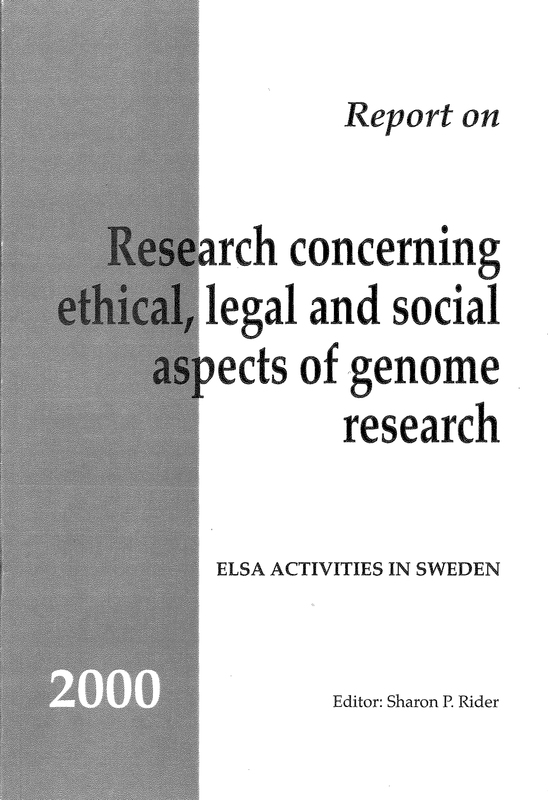 Michael A. Peters, Sharon Rider, Mats Hyvönen & Tina Besley, Singapore: Springer. 2016 “Public Education” (section editor), Encyclopedia for the Philosophy and Theory of Education. Springer (in production). 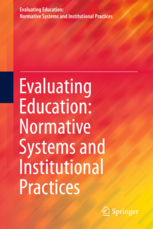 2016– Series Editor (with Michael Peters), Evaluating Education: Normative Systems and Institutional Practices, Springer. 2013 Transformations in Research, Higher Education and the Academic Market: The Breakdown of Scientific Thought, eds. Sharon Rider, Ylva Hasselberg and Alexandra Waluszewski. Dordrecht: Springer 2013. 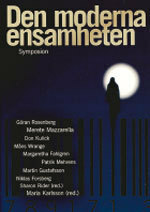 2008 Tankar: Tillägnade Sören Stenlund, eds. Sharon Rider, Niklas Forsberg and Pär Segerdahl. 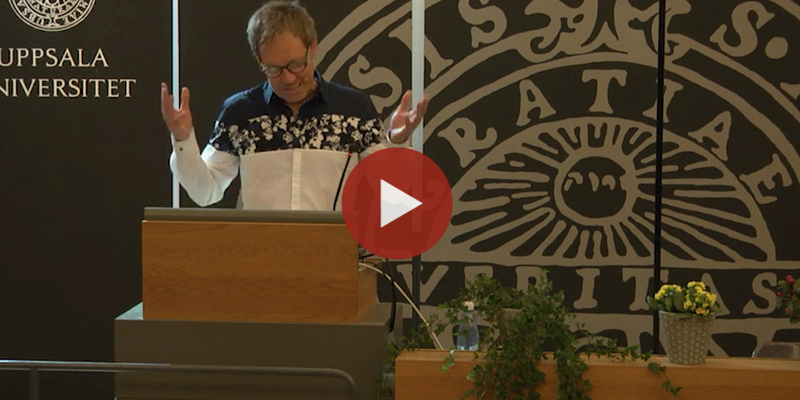 Uppsala Philosophical Studies 54. 2007 Reclaim the science! : om vetenskapens avakademisering, eds. Sharon Rider and Anders Jörnesten. Hedemora: Gidlund. 2006 Den moderna ensamheten, eds. Maria Karlsson and Sharon Rider. Eslöv: Brutus Östlings bokförlag Symposion. 2006 The Idea of the History of Philosophy, guest editor (with Mats Persson), special volume of Lychnos. 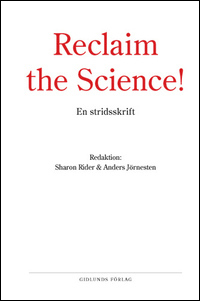 Swedish Yearbook for the History of Science and Ideas. 2015 Den lönsamma humanioran, Briefing Paper, Timbro, September 2015. 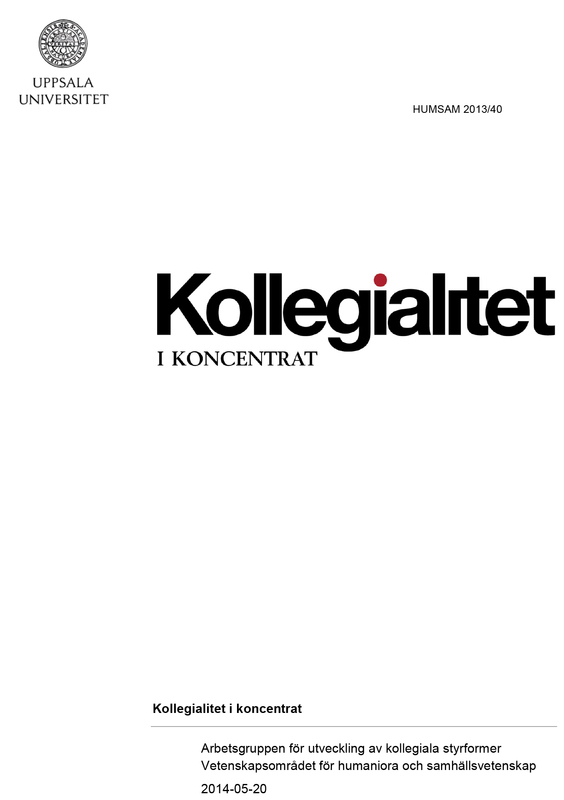 2014 Kollegialitet i koncentrat (with Shirin Ahlbäck Öberg and Elin Sundberg) for Arbetsgruppen för utveckling av kollegiala styrformer Vetenskapsområdet för humaniora och samhällsvetenskap, Uppsala universitet..
2000 ELSA activities in Sweden: Report on Research Concerning Ethical, Legal and Social Aspects of Genome Research, ed. Sharon Rider. 2018 On Knowing How to Tell the Truth. 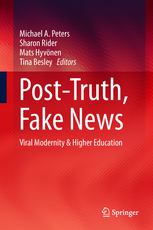 In Post-Truth, Fake News: Viral Modernity & Higher Education, eds. M. A. Peters, S. Rider, M. Hyvönen & T. Besley. Singapore: Springer. 2017 Human Freedom and the Philosophical Attitude. In The Dilemma of Western Philosophy, eds. Michael A. Peters & Carl Mika. Oxon: Routledge. 2017 Coercion by Necessity or Comprehensive Responsibility? Hannah Arendt on Vulnerability, Freedom and Education. In Phenomenology and the Primacy of the Political: Essays in Honor of Jacques Taminiaux, eds. Véronique Fóti & Pavlos Kontos. Springer International Publishing. 2017 Language and Mathematical Formation. In A Companion to Wittgenstein on Education: Pedagogical Investigations, eds. Michael A. Peters & Jeff Stickney. Springer Singapore. 2016 Science and speed addiction: the scholar’s vocation in the age of efficiency. In Nordic Journal of Studies in Educational Policy. Volume 2016, issue 2-3: Special issue: Work and Life in Academia. 2015 Critical Theory as Metatheory of Education. 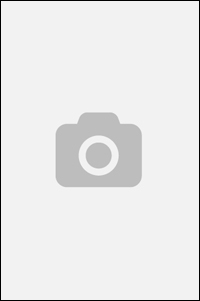 Entry in the Encyclopedia for the Philosophy and Theory of Education. Springer. 2014 The Very Idea of Higher Education: Vocation of Man or Vocational Training? In The Humboldtian Tradition, eds. Thomas Karlsohn, Peter Josephson & Johan Östling. Leiden: Brill. 2013 Higher Heteronomy: Thinking Through Higher Education. 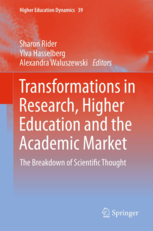 In Transformations in Research, Higher Education and the Academic Market: The Breakdown of Scientific Thought, eds. Sharon Rider, Ylva Hasselberg & Alexandra Waluszewski. Dordrecht: Springer. 2011 On Relativism and Relativity in the Human Sciences. In Making a Difference: Humanism and the Humanities, eds. Susanne Jansson & Niklas Forsberg. Stockholm: Thales. 2009 The Future of the European University: Liberal Democracy or Authoritarian Capitalism? In Culture Unbound: Journal of Current Cultural Research, Vol. 1, 2009. 2008 On Philosophical Style (and Substance). 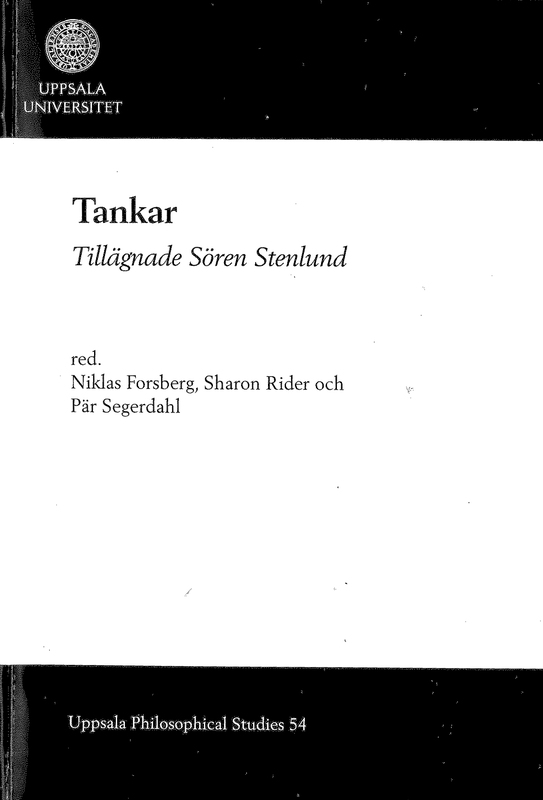 In Tankar: Tillägnade Sören Stenlund, eds Sharon Rider, Niklas Forsberg & Pär Segerdahl. Uppsala Philosophical Studies 54. 2005 Where My Spade Turns: On Philosophy, Nihilism and the Ordinary. In The Recovery of Being: Philosophy, and Ordinary Experience, ed. Nalin Ranasinghe. Chicago: Augustine’s Press.